El Matal Ecuador, jama coaque art project, jama concurso, jama ecuador light posts paintings, palo santo jama ecuador, urban art, who owns urban art? Many of you will remember the extremely-popular (It Started With One Light Pole) post from 2012 that circulated round the world – more than once! Several periodicals pointed readers to this community project that was triggered by one lone light pole. Just last week someone else featured this community event – (And did not ask to use my photos!) – I refrained from scolding them about using my photos, since this was about the locals in Jama and not about me. The more the world read about those artists and about the positive things happening in Jama, the better. Right? I’ve enjoyed watching Luchy transform his petite little building into a work of art, and we sometimes smile and say, ‘It started with one light pole.” That lone post triggered two years’ worth of urban art. I witnessed shy insecure young artists bud into confident ones. But something is amiss this week, and I’m struggling with warring emotions. We were honored and surprised when the local tourism director, inspired by the brightly-colored post, sponsored a painting competition for the entire stretch of incoming Jama Avenue! Novice artists joined seasoned ones and literally painted the town with color! 52 posts smiled with designs that honored the pre-Columbian icons of the Jama Coaque Indians. Individual artists worked on some posts, while the collective energetic groups worked on others. 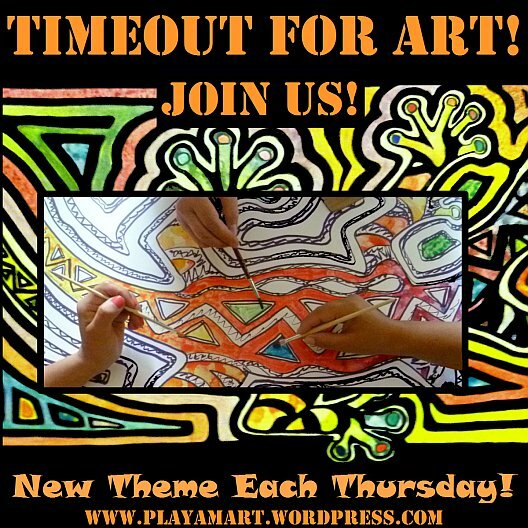 This almost-new post provided a blank canvas for inspiring smiles and happy art! How can one not smile when witnessing this budding Picasso-ette?! On the third day of the competition, I selected a post near my friends’ home and painted a design from an artifact in the nearby museum. Opting not to compete, I photographed others critiquing the colors and design. The event triggered an arts renaissance, and one artist continued painting after the competition was over! Last year, a third competition resumed along the outgoing Avenue in Jama! (Remember Angel’s smile? Where is that post that put that smile on his face? Remember that young lad?! – My young assistant is two years taller! But wait; something’s missing in this picture! Jama Avenue has lost its soul! I left a note on Luchy’s door…. I understand the need for new posts, but couldn’t they save or showcase the old ones? Look again at the first image at the top of this post; the pole was in good shape and surely didn’t need to be replaced! There were many others in equally-good condition. Am I the only one who is offended by the removal of this urban art? Isn’t it just like government to replace perfectly good things with new? But like Julie said.. Pole paint redo! yes, i am hopeful that the community will have a new chance to show their spirit w-urban art! Looks like “do-overs” might now be on your already full plate? hopefully the tourism director will coordinate a re’painting party! thanks amiga! your comment made me laugh! yes, you´re probably right! sometimes we write in hopes of adding a ´gotcha´moment, but no, i´m sorry that you were thinking this would have a happy ending. hopefullly they didn´t damage the posts too much, and they can be used in a park.. i asked the tourism director to stop them from taking away the others, and to move them to a park, so hopefully they won´t be in a graveyard for old posts forever and ever! Why am I not surprised that Governments seem to be the same, everywhere. Destroy whats attractive, historic or beautiful, and replace it with bureaucratic chosen ticky-tacky standardization. I’m so sorry for your and your town’s loss. Maybe the community should start an annual pole-painting contest!! they had two that year and one last year. i suppose the first one could be considered an exercise! yes, a bit discouraging. thanks! That is very sad. I hope the artists will rise again! thanks! i think i´ll stay out of it and hope that the locals speak up for more urban art! You’re not the only one! But I hope that lemonade can be made from lemons, and the next competition, or the next flowering of public are in Jama, will be even more prolific and joyful. thank youñ i wish you were here to help keep that perpetual smile alive from one end of the street to the other! thanks tony.. yes, like ants that rebuild their nests, i suppose the locals will one day repaint their neighborhood! Oh, such a sad end of a good story. And of course everybody have to ask to use your pictures!! At least there is a lot of other good stories and creativity were you are. Keep on Z & co! yes, the éxercise´of painting helped them gain more self confidence, but i wish their work had stood the test of time and would smile on them for many more years. I understand exactly how upsetting this can be, Z – not nice at all!!! However, please don’t “retire your urban paintbrush”! yes, i threated to tie myself to a post and stop them from taking down more! i asked the director of tourism to interevene, but the next morning, the rest of the posts were removed. it made me very discouraged. This is such a wonderful project to keep residents involved in beautifying their communities. It is very sad that the poles were replaced. I guess now it is time for new designs. si. the community deserves to play a part in making their neighborhoods happier and brighter w-color. OK, Z…I am ready! I’ll bail you out of jail, too. Just say the word and I’ll be there with my paintbrushes. What did happen to the old light poles? Are these poles aluminum? Can they be painted? I’m armed with brushes and ready to help. Can you pick me up with your flying carpet? i wish we could make this dream come true! it would be ablast to pick up a world full of volunteers to come splash color down jama avenue! It had to be a shock to the system, but it’s possible that something even better can come from this. Hard to imagine, perhaps, but you never know. i also asked if they could be moved to a park, and hopefully something will happen that turns this into a positive experience with an even’better ending for the posts! I share your grief – for that is what we feel when the creative spirit is not sustained within a community. But, one thing is certain, creative spirit cannot be contained or diminished. I feel there will be a phoenix rising from the ashes. yes, sometimes that phoenix has to rest-recover before she can fly again! Well said!!! I think that is why I love the seasons which remind us all to rest. Oh no! How discouraging and disappointing. And look at the new holes in the pavement, as well. Also, as rewired and retired said, “Where are the old poles?” Wouldn’t it be amazing if you saw them in another town somewhere!!!!!! What a shame, everyone loved painting the poles – you brought joy and brightness into a lot of people’s lives. Long live paint brushes! long live paint brushes! great comment! thanks! That is unbelievable, and I’m shocked by the outcome! Let’s just hope that’s not the ending of the story. It’s a great story, and I was just imagining how much life and energy that brought to the town/street. ithanks! i´m stil having a little internal war as i wrestle with my feelings about this! thanks for your support! Did they remove the poles because they were in bad shape or obsolete? Not because they were painted? If new poles are to be installed, a new community art effort might be just the thing to put back the local personality and color.Could symbolize a fresh start. Sorry for the disappointment though. Your personal energy and talents and generosity are truly inspiring. This is a bit saddening. I just may have to return. With a brush in each hand.